Liguria is a stretch of land bewteen the sea and the mountains. This long coastline is a succession of small villages and towns, with some impressive colorful, historical "borghi" (medieval origin villages) on the cliff edge. Its unique position makes herbs such as basil, used in the most famous Pesto Sauce , sweet marjoram, sage, and laurel growing in abundance, giving a special touch to any dish. The climate is particularly favorable to the cultivation of vegetables such as zucchini, eggplants, artichokes and chickpeas, while the forested hills are rich of chestnuts and mushrooms. Last but not least, being on the sea, we can't forget fish and seafood. This variety of food from both the sea and the land makes the Ligurian Kitchen one of a kind. We couldn't but start our travel inside the Ligurian kitchen without writing about Trofie with Pesto alla Genovese, one of the most famous Pesto cream sauces. Made with Basil, Pine Nuts, Olive Oil and Cheese, this unique dish encloses some of the most typical products of this land. The most famous pairings for Pesto alla Genovese are Trofie, a short twisted fresh Pasta or Trenette, a narrow, flat, dried Pasta similar to Linguine. In the typical "trattorie" (the Italian home-style restaurants) Trofie with Pesto are usually served tossed with Potatoes and Green Beans: the starch released from the potatoes makes this dish deliciously creamy, while the green beans enrich it with different flavors and textures. And its surprinsingly easy to add vegetables to your Trofie with Pesto! Just cook the green beans and potatoes in a pot of boiling salted water until they are cooked through and cook it the Italian way. 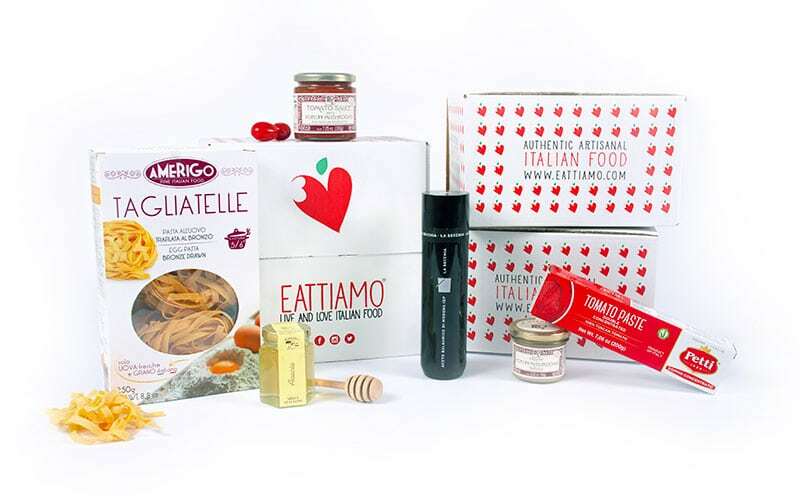 Even if the Pesto you can find in our Food Box does not undergo any pasteurization process and is produced without preservatives, colorants and artificial flavors, it has a shelf life of 24 months in jar. Rather, the lack of pasteurization is a great advantage under the organoleptic and nutritional point of view. 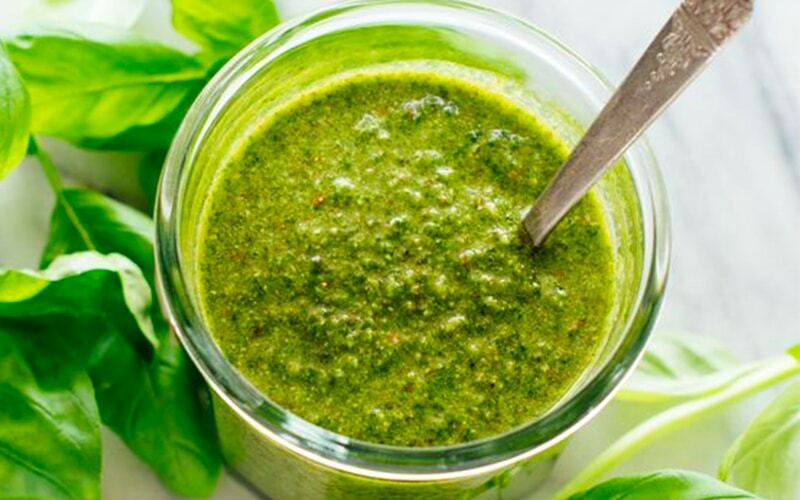 100 g of our Pesto ensures a great amount of vitamin B1, A, C and E. On top of that, it is rich of antioxidants, proteins, fibers, aminoacids and enzymes useful to our digestion traditional recipe. Pansoti - or Pansotti - are a clear example of Ligurian cuisine: linked to the territory, genuine, straightforward but always extremely tasty. Those half-moon shaped ravioli are traditionally stuffed with a mixture of herbs called "prebuggiùn" including borages, wild chard, dandelion, purslane and wild rocket and with a fresh local cheese called "prescinseua", whose taste is something between ricotta and sour cream. Actually, it can be hard to find those ingredients outside Liguria, so they are sometimes stuffed with different herbs and with ricotta replacing the fresh cheese. 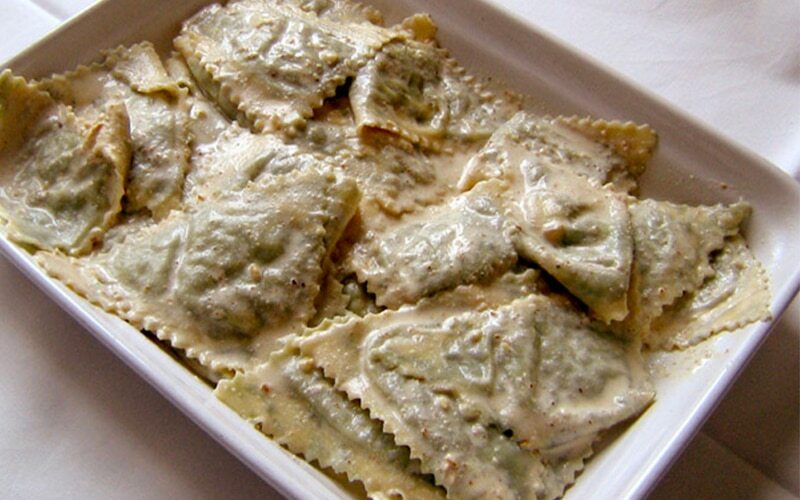 Pansoti are usually seasoned with Walnut Sauce, a Pesto cream sauces made with Walnuts, Milk and bread - or with Butter and Sage and a generous sprinkle of Parmesan cheese. A fun fact: the word "Pansoti" derives from "Pansa", that means "Belly" because of their rounded shape... or because that's what you'll end up to have by eating too much of them? In any case, they worth the risk! Another fun fact about Italian Food. 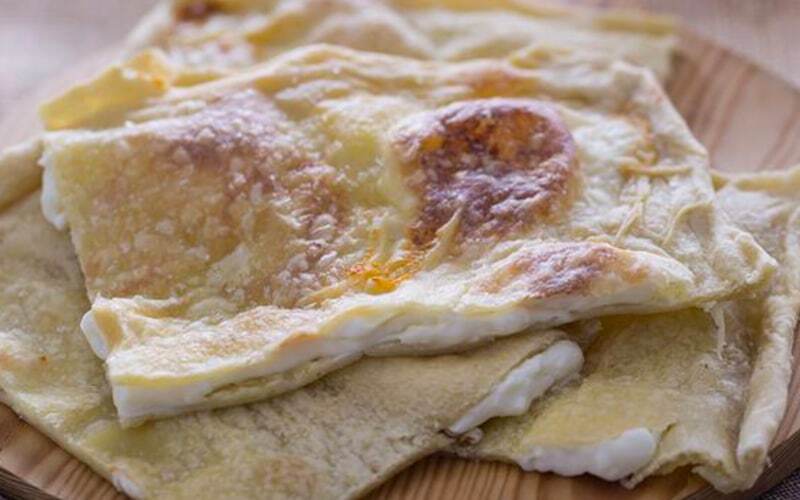 Some dishes are the reason of real disputes between cities regarding the supposed "faterhood" of the dish Farinata is one of this "quarrelled" dishes: Pisa, Carrara, La Spezia with Genoa and even Sardinia all claims in fact to be the place where Farinata has been invented. You have to know that we are in the Cinque Terre, near La Spezia so we couldn't but support the La Spezia- Genoa version. A legend tells that it was born out of pure randomness at the end of XIII century, during a battle that saw victorious Genoa on Pisa. Coming back home, however, the Genoese warships found themselves involved in a storm and a few barrels of oil and sacks of chickpeas overthrew, soaking salt water. The sailors had no choice: they tried to "cook" this compound in the sun, which dried in a kind of pancake. When they ate it, they discovered it had a good taste and, once in the mainland, they improved the recipe and called it "The Gold of Pisa" to mock the defeated opponents. 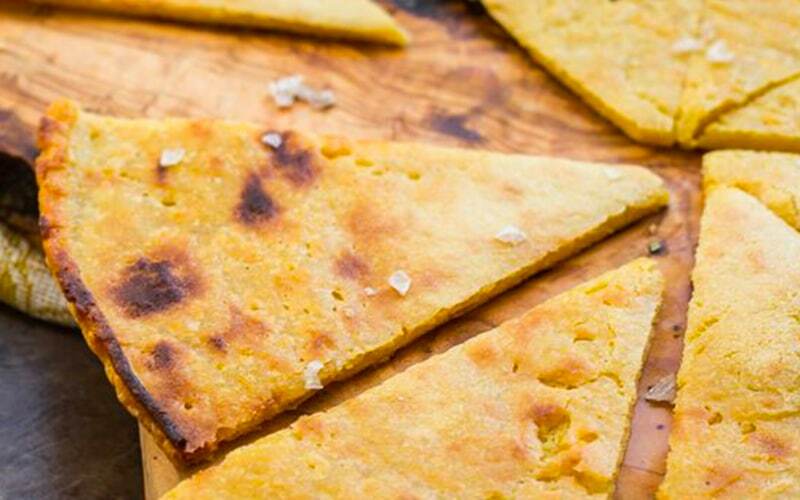 Nowadays, Farinata is sold in lot of bakery and pizza by the slice places becoming the Ligurian street food par excellence: a cheap, fast and really tasty meal or snack. We suggest to eat it in the promenade in front of the sea, maybe paired with Stracchino cheese or Pesto cream sauce for a real Ligurian experience! People here in Liguria know a thing or two about how to produce a traditional Focaccia. The region's best known iteration, focaccia Genovese, is fluffy in the middle with a crisp crust doused in olive oil and salt flakes. It's a favorite for breakfast (dipped into cappuccino) or as a snack (often washed down with a glass of local white wine). But Ligurian focaccia doesn't stop at one type: towns all over Liguria produce their own focaccia, and one of the best among them takes its name from the town of Recco in the Ligurian western Riviera, near the well-known Cinque Terre. When we think about focaccia, we usually think about bread dough with yeast. Instead, the peculiarity of the Focaccia di Recco is the lack of yeast. The dough is very simple, made with flour, extra virgin olive oil, salt and water and filled with stracchino or crescenza, italian soft fresh cheeses. The result is rather simple: a paper-thin crust sandwiching oozy fresh cheese, the important thing is the dough must be as thin as possible. in 2012, this incredibly good recipes has been recognized with the IGP label. Since then, technically, like Champagne is only from Champagne, you can only get Focaccia di Recco in Recco. Like every dessert that represents Christmas for a city, Pandolce has its own story, or better its stories, to tell: its origin is indeed shrouded in mister, with lot of different versions and legends. 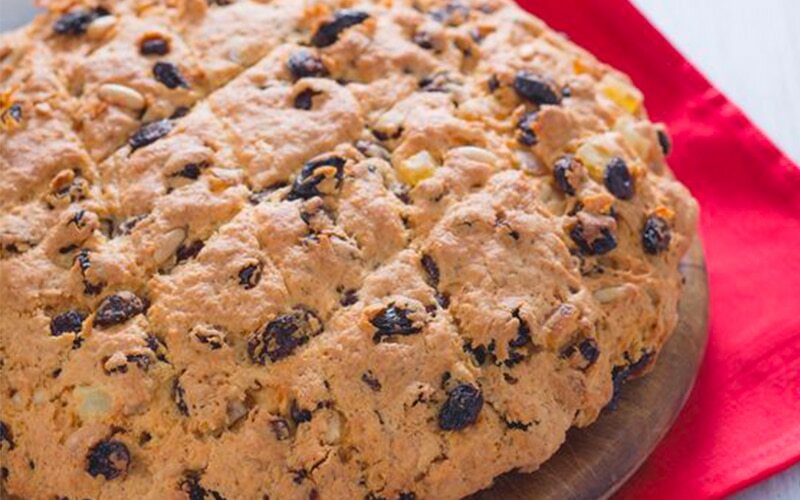 What is certain is that this cake - sometimes called "Genoa Cake" abroad - has been a part of the traditional Genoese Christmas meal for centuries. It basically is a sweet bread (literally, Pandolce!) flavored with raisins, pine nuts, fennel and more. Its origins are in the Arab world - more specifically, in ancient Egypt - and it has been somehow introduced to the town’s citizens via its maritime trade. Being a typical Christmas cake, there are strict rules and traditions - a real ceremony, we would say - concerning how it should be eaten: the tradition, indeed, rules that the cake is brought to the table by the youngest of the family who puts a sprig of laurel in the center, a symbol of well-being and fortune. The head of the family, the oldest, has to receive, cut it and recite the traditional greetings. The slices of the Genoa cake, then, have a precise order of precedence. The first is set aside for the first poor man who knocks on the door, the second is kept until February 3rd, the day of Saint. Biagio, protector of the throat. The third slice, finally, it is up to the family but starting from the mother, or at least from the one who has prepared the Pandolce, because she has to proceed with the tasting.